The Nexus platform is modular. Each feature has its own processes, independent of other features. To improve stability, these modules are only enabled as they’re needed. After all, a process that’s not running can’t cause a crash. This has an added benefit of decreasing the attack surface. Let’s not forget the resources savings when only loading required modules. How about upgrades? Yep, they get the benefit too. If a module has a fault, Cisco could release a patch that only updates that module. This helps limit the impact of an upgrade. To use Nexus features, they first have to be enabled. Sometimes, they have to be installed first. See a list of features with the show feature command. To enable features. use the feature command. For example feature eigrp will enable the EIGRP processes. 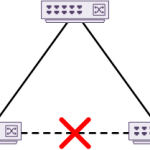 Some features, such as EIGRP may use more than one instance. Although this a single feature, each instance runs as a separate process. Besides features, there are also feature-sets. Feature sets are similar, except they represent a collection of processes. To use a feature, install it with the install feature-set command. Then, enable it with the feature-set command. Feature-sets are installed per VDC (on platforms that support VDC’s). An example of a feature-set is fabricpath. This uses a collection of processes, which is why it is a feature-set. On the N7K, some processes run on the supervisor, and some run on the individual IO modules that use it. To see a list of processes on the Nexus, use show process.